Locally based, Hawke Electrical has a fleet of licensed electricians to offer fast, reliable commercial and residential electrical work to the towns on the Main Line. 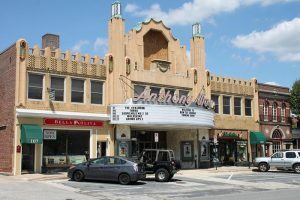 While the lush trees and charming historical homes make the Main Line one of the prettiest areas in the Philadelphia suburbs, those same things can make for all sorts of electrical problems. Fortunately, Hawke Electrical offers not just electrical work but also generator sales and repairs to keep your power up and running. Hawke Electrical also offers generator sales and repairs to the Main Line. 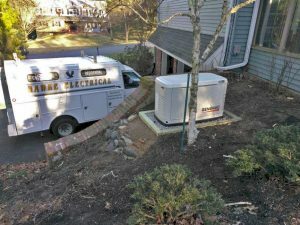 We sell, service, repair and install whole house generators that will not only keep your home running through power outages, but also give you valuable peace of mind. Our certified generator technicians can service all makes and models of generators. 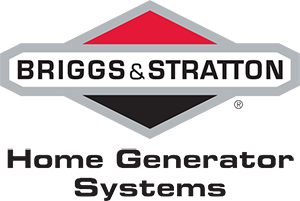 We also stock, sell, install and repair Generac and Briggs & Stratton generators to the Main Line. While these are two of the top generator manufacturers, even the best equipment needs occasional repairs–and you can trust Hawke Electrical to make sure your new or existing generator will keep your home running. 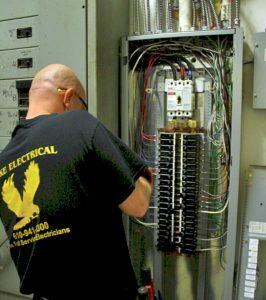 No matter what your needs are, Hawke Electrical’s team of trained, certified technicians are on call and ready to help! 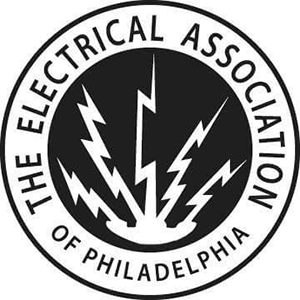 Along with our other services, we also offer 24/7 emergency electrician services to the Main Line and all surrounding areas on the Philly suburbs!